Brandi Carlile, Lady Gaga, H.E.R., Ariana Grande, and more. 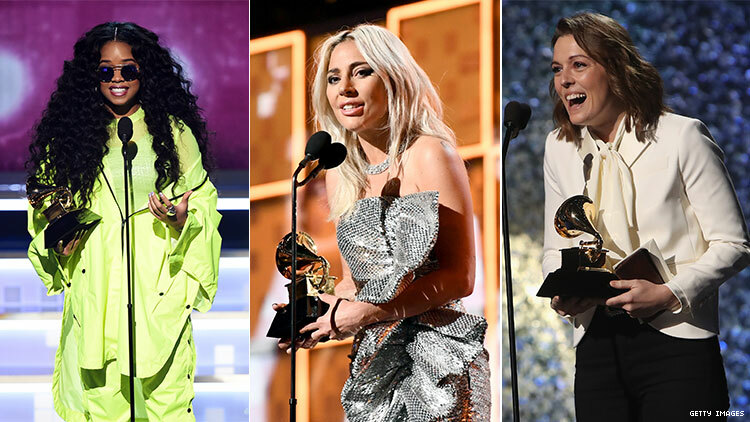 With queer women like Linda Perry, Brandi Carlile, and Janelle Monae in the running for some of the Recording Academy's most prestigious Grammys, LGBTQ+ people have plenty to celebrate as music’s biggest night kicks off. But the jury is still out on who will take home a golden gramophone. Below is a select list of the night’s winners, from both the televised (which airs live from Los Angeles at 5 p.m. Pacific) and non-televised portions of the ceremony. Check back as it will be updated throughout the night.